We start the month of October off with Venus, the planet of love, desire and all that we value going retrograde through the sign of Scorpio on October 5th. This is happening at 10 degrees Scorpio. Venus will go direct once more on November 15 at 25 degrees Libra. This retrograde will last for 40 days and in some schools of numerology, this is a significant number as it denotes strength gained through trials. This can be a rather intense retrograde for some people and can sometimes lead to remarkable life changes. As this is ending in Libra, it is likely to also lead to changes in relationships and how you value them. Whether this will be a positive or negative result for you personally depends greatly on your ability to learn from and to trust the process of life. Venus shows us what we value and what we desire. 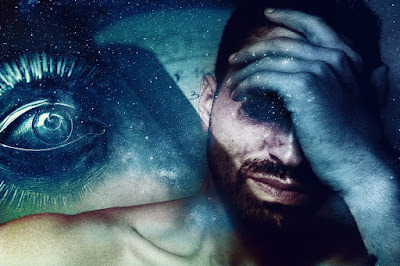 In Scorpio, this can sometimes be an all-consuming love, obsession or attraction but it can also mean a deep, emotional connection with another and learning how to merge your energies with another in order to create something more. It is reminding us of our deepest desires and inspiring us to take action to go and get it. And we need to remember that Scorpio is ruled by Pluto, the planet of transformation so this energy can be very revolutionary on an individual basis as well as on a global scale. On October 31, Venus will retrograde through Libra. In Libra, Venus is about finding reason in your passion and how to find objectivity in your perspective when it comes to those things you value the most. Libra is ruled by Venus and in this sign the relationships in our lives are highlighted. Libra energy is about harmony, balance and fairness. It’s about give and take and equal sharing of time and affection. This energy is asking you to don a new perspective about your relationships and see what areas in your life need balancing. For more information on this Venus retrograde, check out this interesting article by AstroButterfly, where she even describes the Venus retrograde effect on the transpersonal planets (Uranus, Neptune and Pluto) which can have a significant impact on someone’s chart. October 8 sees the New Moon energies happening in Libra, the sign of “the other”. This is a time for relating and the Venus retrograde energy is definitely going to play a part in this. Partnerships are highlighted now and if your marriage or business partnerships need work, now is the time to focus on them. This is excellent energy for negotiating with another especially when it comes to sensitive issues. Do your best to remain objective and set the intention to create more harmony in your relationships during this New Moon phase. October 9 Mercury enters Scorpio. This energy shifts our focus onto more deeper and meaningful subjects as Scorpio is all about digging deep and discovering the truth beneath the superficial surface. This is a time for talking about the difficult issues too as these things tend to rise to the surface during this influence. Also, if you have anything that requires investigation or research, this energy will greatly assist you in your endeavors. The Sun enters Scorpio next on October 23, followed by the Full Moon in Taurus on October 24. While the Sun is here, our focus is on our shared resources with others, how we can tear down and transform areas of our lives. It’s also about looking beneath the surface and digging deeper to find the truth. This is intense Scorpio energy going on right now with Venus, Mercury, Jupiter (it’s been in Scorpio for about a year now) and the Sun all illuminating the issues which we normally don’t want to see or talk about. And with the Full Moon energy, the emotional energies are super charged! Scorpio energy reminds us that it might be unpleasant, but it still needs to be addressed. On a global scale, we may see some major disclosure happening in our governments, healthcare and/or financial institutions and several of us may be left feeling rather raw and open afterwards as ugly truths are exposed. But we must remember that it is only through this process of uncovering and exposure that we can learn how to release that which is no longer working and make way for something bigger and better to come along. Although the changes may seem painful, we can always choose to find the growth rather than stay in the pain. Remember, change is inevitable but suffering is optional. The Full Moon in Taurus on October 24 reminds us to take a look at our lifestyle and evaluate where we need to adjust our routine. This energy is very earthy and steady and it seeks comfort in all forms. This is a time for seeking a balance between all of your feelings and what you can do on a practical level in your life. Full Moons are always more intense on an emotional level but the energy of Taurus tends to slow it down a bit thankfully. This is a good time for releasing unhealthy habits on a practical level such as laziness, self-indulgence and emotional eating. Mercury enters the sign of Sagittarius on October 30 and the energies once again shift. Mercury in Sagittarius energy is somewhat mixed. While Mercury likes details, Sagittarius does not and this mixing of energies can sometimes create mountains out of molehills and can often stretch the truth. On the other hand, Sagittarius is expansive and likes to open our minds when Mercury is involved. There is often a problem with speaking without thinking first while Mercury is here and we can sometimes forget to deploy tact in sensitive situations. It is a good reminder for us to take on different views and allow for different approaches to subjects, as well as to think before we speak so that we do not let our tongues run carelessly into conversation and we find ourselves regretting our words. 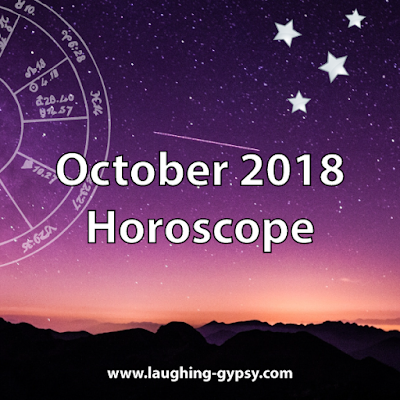 In Numerology, October 2018 is a number 3 Universal month. This is a time for expression, communication, creativity and increased social activity. October looks to be a rather active month mentally and more than likely we will see some people talking about the tougher issues (such as the disclosure happening worldwide). Many more of us will also want to talk about the planetary shift that is happening right now and how this is affecting mass consciousness. This isn’t surprising considering the Scorpio energies going on this month too. To get a more accurate sense on how these planetary energies will be working in your personal life, look to see which house is ruled by Scorpio in your natal and progressed chart. You can get a free chart at www.astro.com or you can book a reading with me and I will be happy to discuss your chart with you over a live video chat. Learn more here. Overall October looks to have some interesting energy going on! It’s mostly about Scorpio and its intense energies bringing transformation to our personal lives as well as to our planet. I wonder what sorts of new information we will discover. Do you have any ideas? Share them in the comments below. We just may learn some interesting new facts about life this month. We shall see!